In another life, I worked for a short time as an artist, so I especially love fan art. Over the years I've received some amazing art and interesting interpretations of stories and covers. From doodles to sketches, paintings, or even Legos--I love every one. 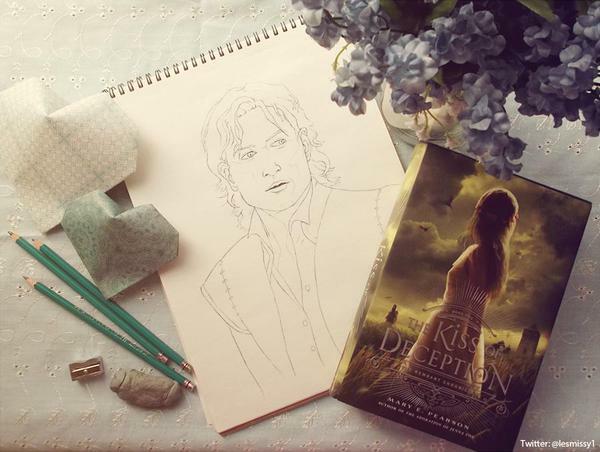 Tag me on Twitter (@marypearson) or Tumblr (#the kiss of deception) with your fan art and I will share it here. From Rattle the Stars on Tumblr. 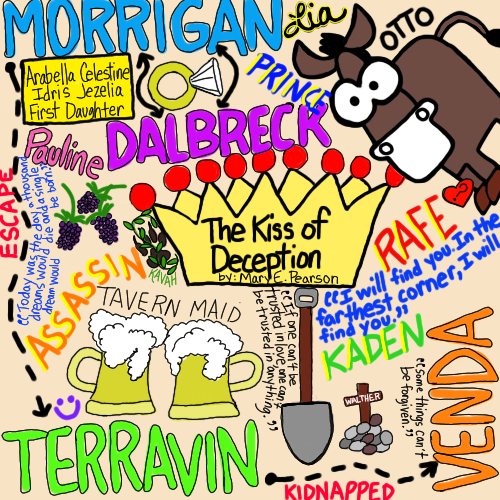 This is a "sketchnotes" piece from KarinLibrarian on Tumbler. Nail art by @TheTwinsRead inspired by The Kiss of Deception. I want nails like that! This is only a partial image of the Snowwoman version of The Kiss of Deception. For the whole image, plus other YA covers, click picture to visit the Novel Advice site. So much fun! 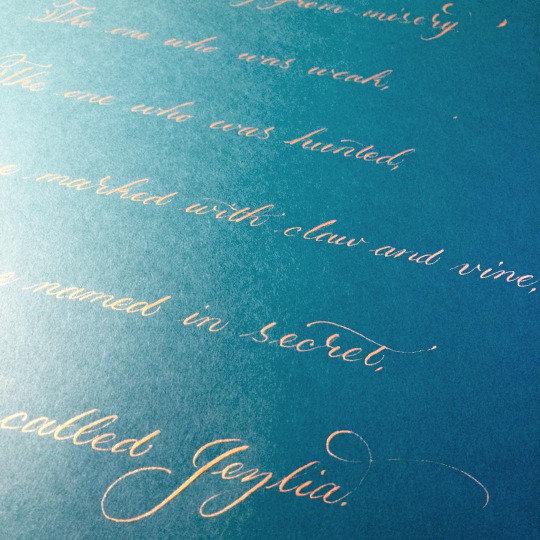 Calligraphy quote from the immensely talented YA author Jodi Meadows. Art from Ms-digne on Tumblr. 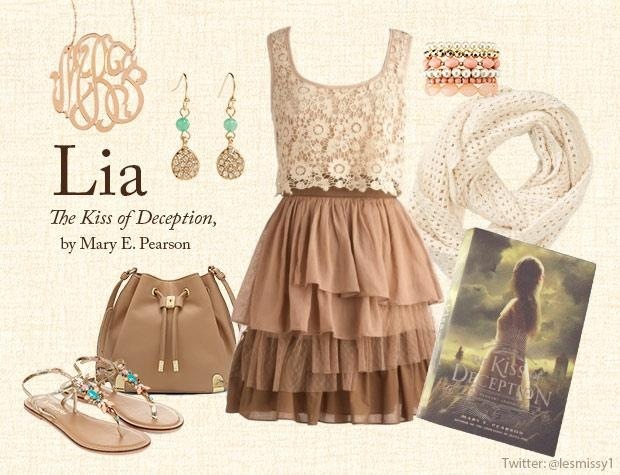 Book fashion from @lesmissy1 on Twitter!